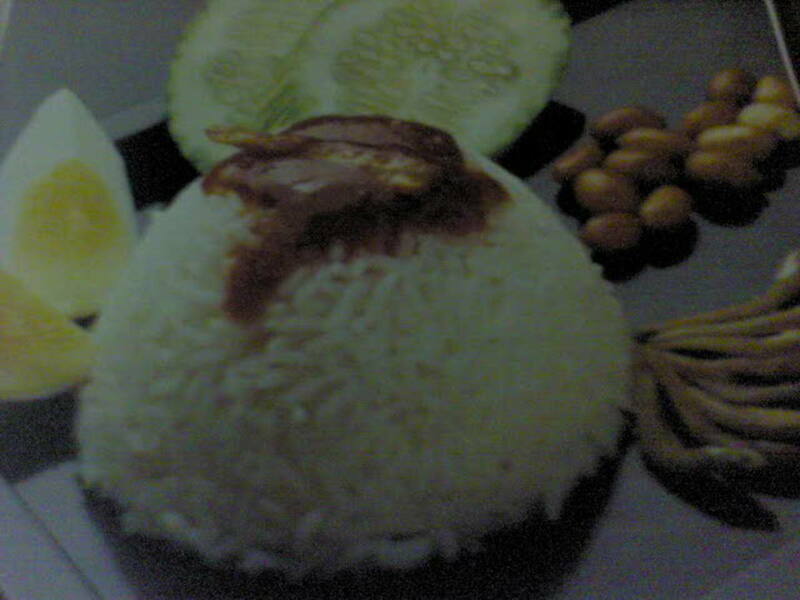 Nasi Lemak is a Malay word which means "rice in cream". 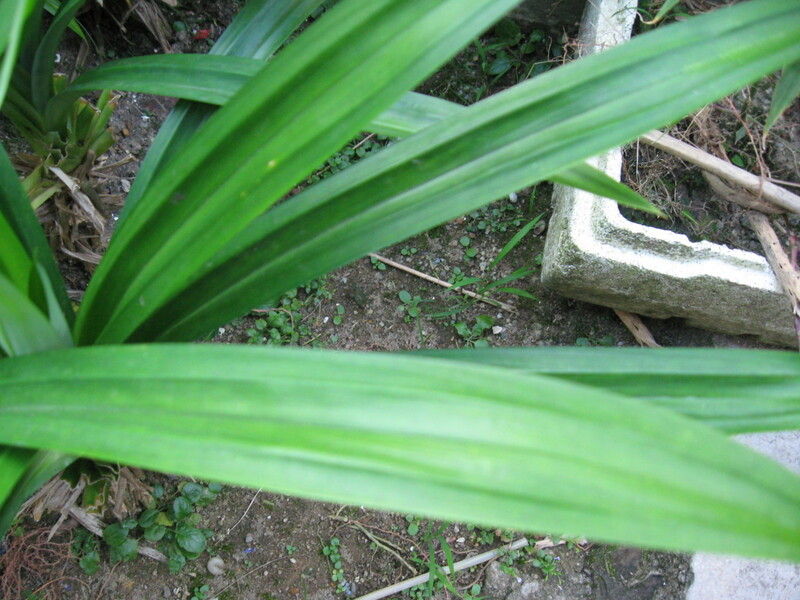 This dish obtained its' name from the cooking method whereby the rice is soaked in coconut milk and steamed with knotted screwpine (also known as "pandan") leaves to bring out the wonderful fragrance. 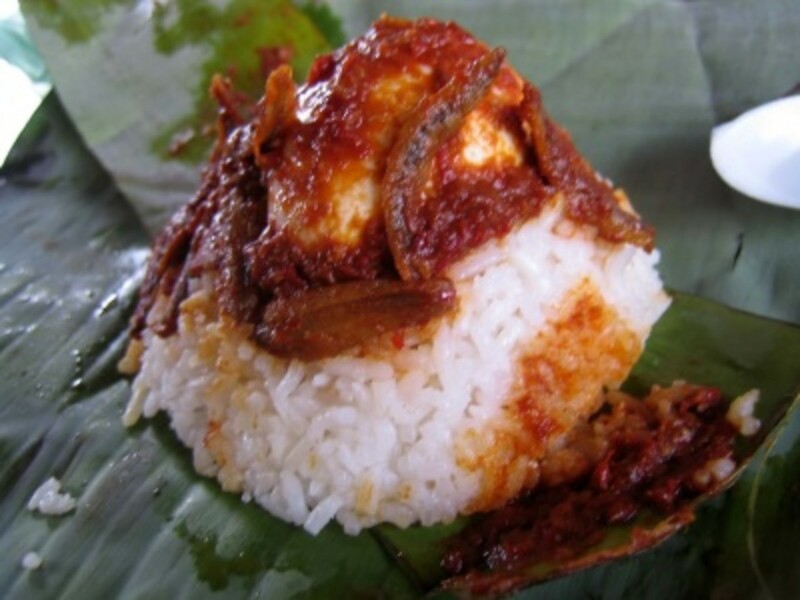 Nasi Lemak is a common dish which can be found in Malaysia, Brunei, Singapore, Riau Island and Southern Thailand. 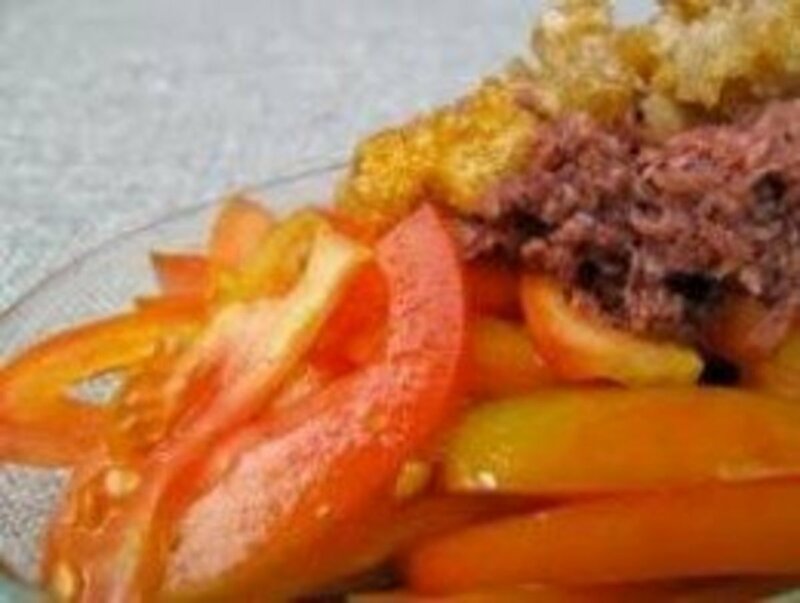 It usually comes along with slices of cucumber, fried archovies (known as 'ikan bilis' locally), roasted peanuts, hard boiled egg or fried egg, spicy sauce (known as 'sambal') and sometimes with a side dish such as fried chicken or fried fish. Nasi lemak can be eaten anytime of the day but most people have it during breakfast, It is a heavy breakfast for small eaters. Some restaurants serve it on plate while others such as hawkers or roadside stalls, packed them in banana leaf for convenience and add further fragrance to this delicacy. 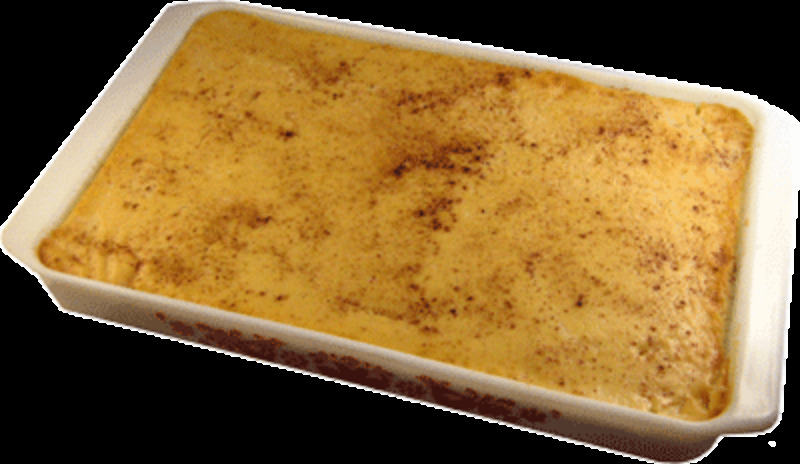 Here's the recipe, hope that you will enjoy this dish! Wash rice. 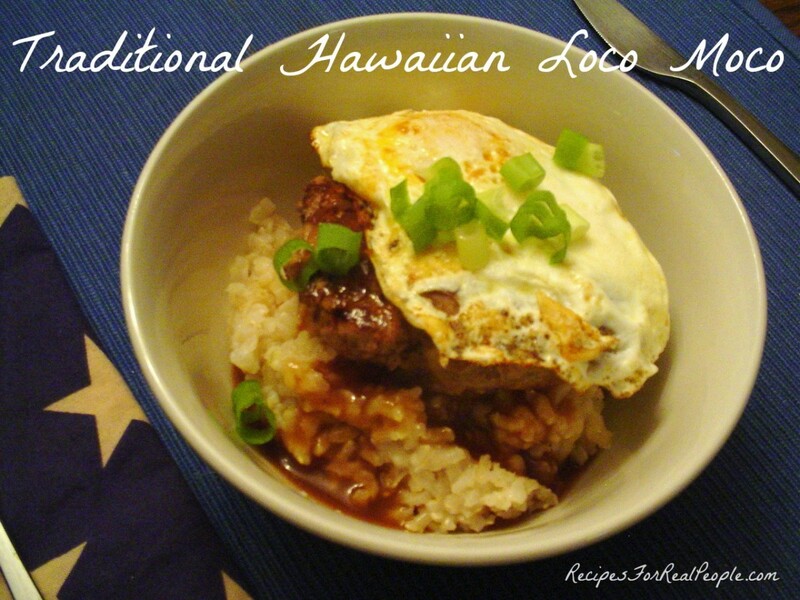 Place rice in rice cooker together with the thin coconut milk and other ingredients. When rice is cooked, loosen the rice with wooden spoon. Shell prawns, keeping the tails intact. Mix them with a pinch of salt. Fry prawns half done. Leave aside. 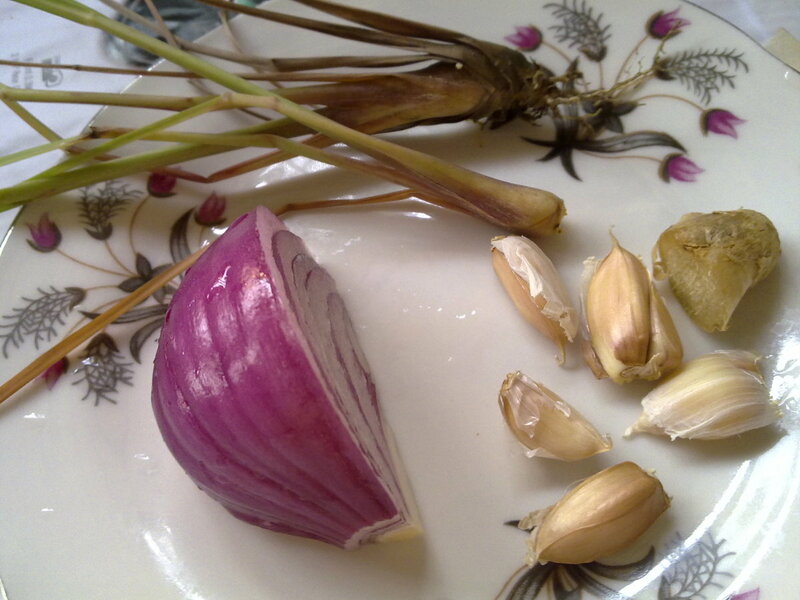 Pound or grind shallots, garlic, serai and belacan together. 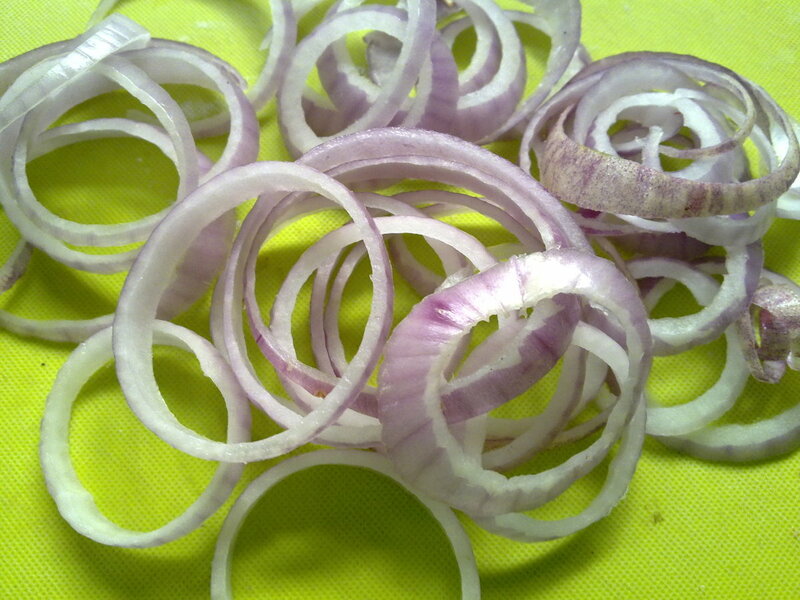 Cut big onions into rings. Heat up wok with 3 tbsp oil. Stir fry pounded spicy ingredients until fragrant. Add in chilli paste and continue stirring. Add in prawns, tamarind juice. 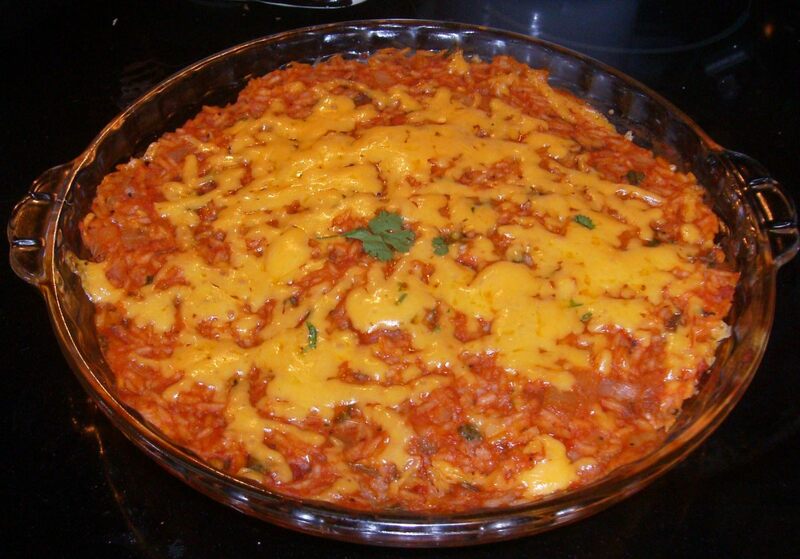 Simmer for a couple minutes, add in onion rings and turn off heat. Wash anchovies briefly and drain. Do not soak. Otherwise will lose flavor. Add a little oil in wok. 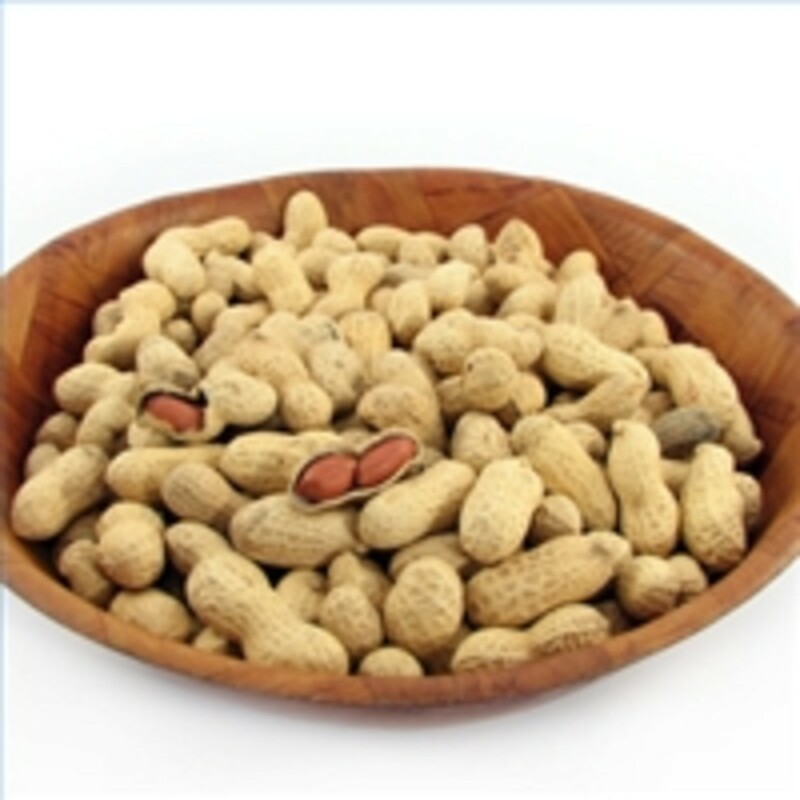 Fry groundnuts until dark brownish. Remove. Add 5 tbsp oil in wok. 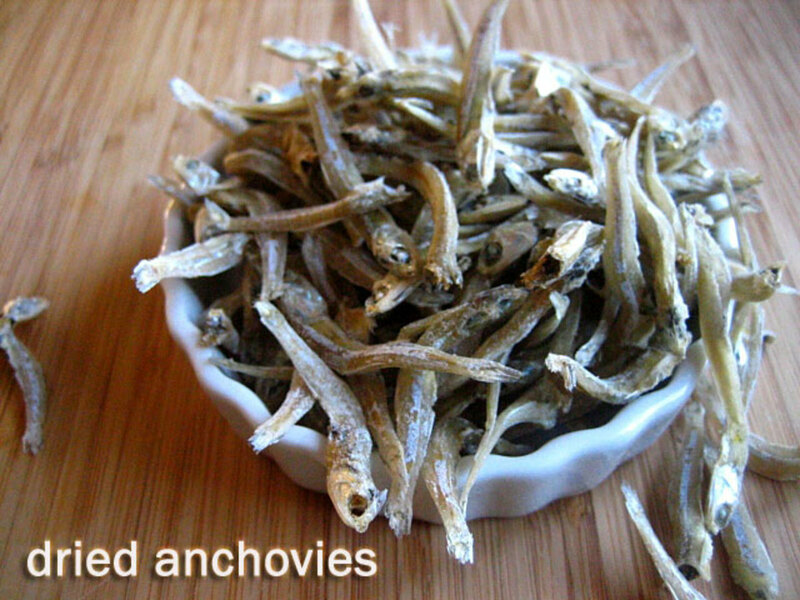 Fry anchovies until crispy. Remove. 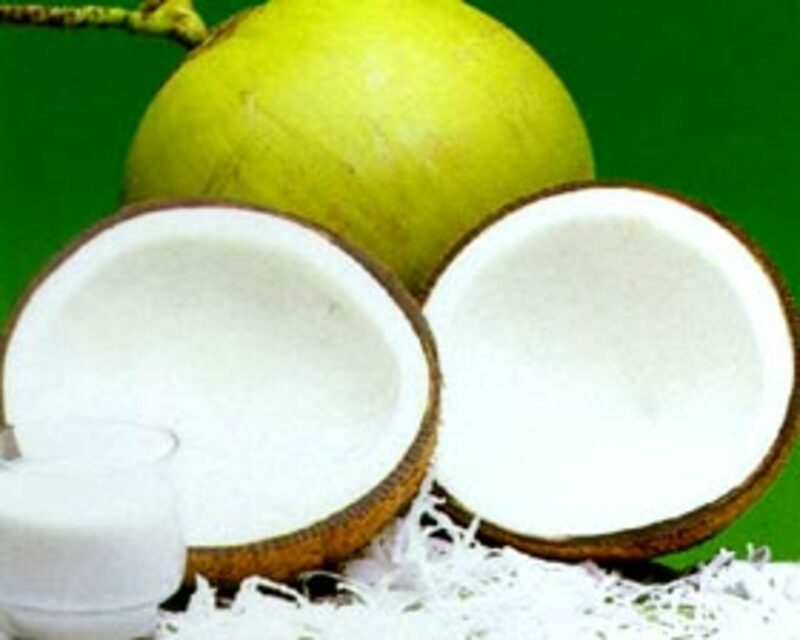 Nasi lemak is delicious but don't eat it everyday because the coconut milk will increase your cholesterol due to the saturated fat content which is quite high. Once a week is okay. I enjoy learning about new and different foods of which I am unfamiliar. Thanks for writing this. 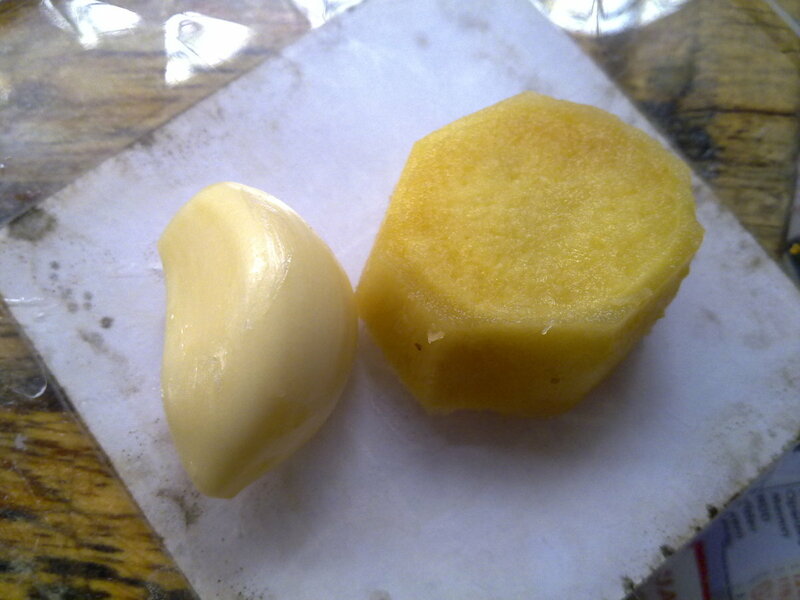 Some of the other ingredients that go into the making of Nasi Lemak are also unfamiliar to me. Would enjoy trying this were it ever available on our side of the world.